Back in October I wrote about the impending game of musical chairs that would happen in the 2018 NFL offseason involving quarterbacks. I also teased an updated edition last week when I wrote about the options for where Kirk Cousins may sign as a free agent. With the 2017 NFL season officially over and the start of the new league year five weeks away, now seems like a good time to reassess what might happen moving forward. Since we last touched upon the subject, two major dominoes fell (“chairs were filled up” is more on theme here) to shape up the market place. First, only five days after I put out my original article predicting where every quarterback would land in 2018, Belichick thwarted the entirety of my efforts and shipped Garoppolo off to San Francisco. Then, before the calendar turned over to February, the Chiefs sent Alex Smith to Washington, and the two sides worked out a four-year extension on Smith’s contract. It was reported earlier today that Garoppolo is now the highest paid player in NFL history, and that Washington has chosen to tie its future to Alex Smith and move on from Kirk Cousins. *Note: I do not buy for one second that Washington will actually franchise Cousins and seek a trade, which has been reported they are considering as an option. Maybe I am giving the organization too much credit but the only logical conclusion of such a tactic is Washington undermining itself. It is “more probably than not” that Cousins ends up one of the top three highest paid players in the NFL once he chooses his next team. If Washington doesn’t blow it with dumb free agent signings, they will for sure earn the top compensatory pick awarded by the league, which falls in the 3rd round at 97th overall. Franchising Cousins will create a $34 million dollar cap hit for Kirk on anyone’s 2018 books, unless a new deal is worked out to lower the hit. I have to imagine Washington is considering this so they can get at least a single first round pick in any trade. No team in their right mind is going to give up a first round pick, or even a second round pick, for a single year of Kirk Cousins at a cap hit of $34 million. Any team acquiring Cousins will do so contingent upon having a new contract already in place before the trade is consummated. Which means Washington will have to allow teams to tamper with Cousins and his agent, and Cousins will essentially be a free agent where he can choose his next team and force Washington to trade him to his desired destination. If Cousins agrees to a multi-year deal with Team X, then only Team X will be willing to trade with Washington, as every other suitor knows they would only be getting a rental. In a world where Team X is bidding against no one while trading for Cousins, why would they give up a valuable draft asset? I would think at the absolute best they would offer a 5th rounder, but Washington will have no leverage at all. Any pick coming back in a trade for Cousins will assuredly be inferior to the compensatory one Washington will receive from the league. So let’s start off again by establishing the quarterbacks that will be available to teams via restricted free agency, unrestricted free agency, guys likely to get cut, trade, and the draft. The only restricted free agent of note here is A.J. McCarron. As a restricted free agent, the Bengals will have to tender him using one of four options: First-round tender, Second-round tender, Original-round tender, Right of first refusal tender. I expect the Bengals to go with the Original-round tender. While the $3.91 million cap hit for a first-round tender and the $2.746 million cap hit for a second-round tender probably aren’t large enough to deter the Bengals from using these options, I think the Bengals would rather get something for McCarron than have him on the roster next season. I could be wrong, maybe an experienced backup is very valuable to them. Maybe they will use a higher tender knowing they can come to a trade agreement with the team that wants McCarron for a lesser draft pick. I just don’t think McCarron’s market will be too hot. Just because the Browns (cough – Hue Jackson- cough) were willing to pay way too much for McCarron doesn’t mean the league views him that highly. Also bare in mind that the team that sees McCarron every single day in practice was willing to trade him within the division. One thing I don’t understand that hasn’t become a talking point in the media yet is the idea the Browns go after McCarron in free agency. Everyone assumes they will either somehow land Kirk Cousins or use the first pick on a quarterback. The most likely scenario is certainly taking a quarterback with the first pick. But Hue Jackson likes McCarron enough that he was willing to give up a second and third round pick in a trade for him, so why wouldn’t he push John Dorsey to pursue McCarron now? The Miami Dolphins have the ability to get out of Ryan Tannehill’s contract prior to each of the next two seasons. He has now torn an ACL twice, and the Dolphins have the 11th pick in the draft, which is within striking distance to move up higher to secure a quarterback should they fall in love with one of the top prospects. Philly circa 2016 anyone? So What Teams, or Potentially What Teams, Are Looking for a New Starter Immediately or in the Near Future? So that’s 12 teams, but if you eliminate the Colts (which is probably the case) and assume the Vikings stay with someone from the 2017 roster, you’re down to 10. I will address a prediction I want to change from my initial edition of this article right now. Back in October I said I think Roethlisberger will retire following the 2017 season. I no longer believe that to be the case. In the middle of the season Roethlisberger pondered aloud if he “doesn’t have it anymore,” and has previously considered retirement in other offseasons. Apparently Roethlisberger now wants to play at least another three seasons. I do believe, regardless, that the Steelers will use their first round pick on Mason Rudolph. I have that pick in my 2018 NFL Mock Draft, and will hold it over in my updated version that will be out soon. The pick assumes Rudolph gets to the Steelers (maybe they will move up if they really love him) but it makes perfect sense. The Steelers, if they retain Bell, are Super Bowl contenders as presently constructed. Using their first round pick on someone to make an immediate impact has its benefits, but taking a guy you can groom behind Roethlisberger in his final few seasons may be too good a proposition to pass up. This also could very easily be wrong as the Steelers look to maximize the Roethlisberger championship window and address the heir in a later round or later year. Should I just start with the star of the show or leave him for last to force you to stick around? Don’t worry, I’ll get right to it. I think the two finalists for Cousins end up as Denver and Jacksonville. Jacksonville just went toe-to-toe with the Patriots in New England and Cousins represents a significant upgrade from Blake Bortles. 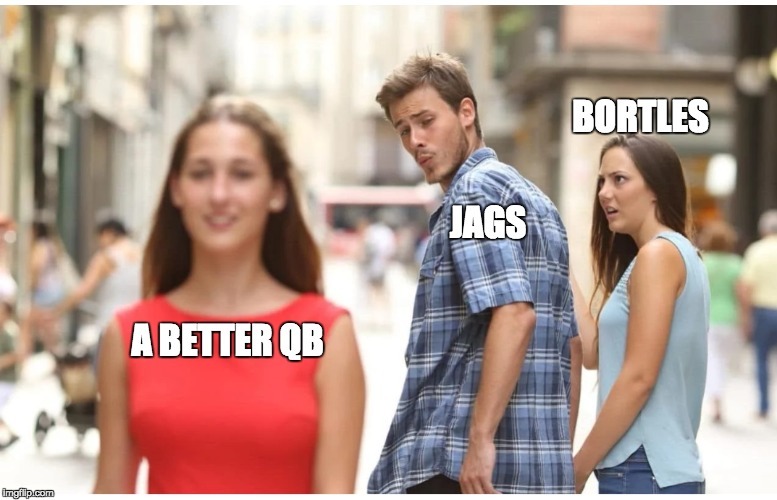 The Jags have an easy path to carving out the cap space to bring in Cousins. Cutting Bortles and Malik Jackson alone will save $28.5 million. Denver will be tighter under the cap than Jacksonville should they obtain Cousins but Elway has a way of making money matters work out. In the end, this has John Elway written all over it. He must be fed up with the likes of Paxton Lynch, Trevor Seimian, and Brock Osweiler and wants to just put the quarterback issue to bed. Elway also must be a fantastic pitch man as he has continually brought in big name free agents during his tenure in Denver. Peyton Manning, DeMarcus Ware, Aqib Talib, Emmanuel Sanders, and T.J. Ward have all come in as free agents under Elway. Denver has the defense and offensive weaponry to immediately challenge the Patrick Mahomes Kansas City Chiefs for the AFC West crown. If Cousins takes a meeting with Elway, I don’t expect Kirk to leave the building a free man. There aren’t many examples of a team making the Conference Title game or better and ditching their starting quarterback. 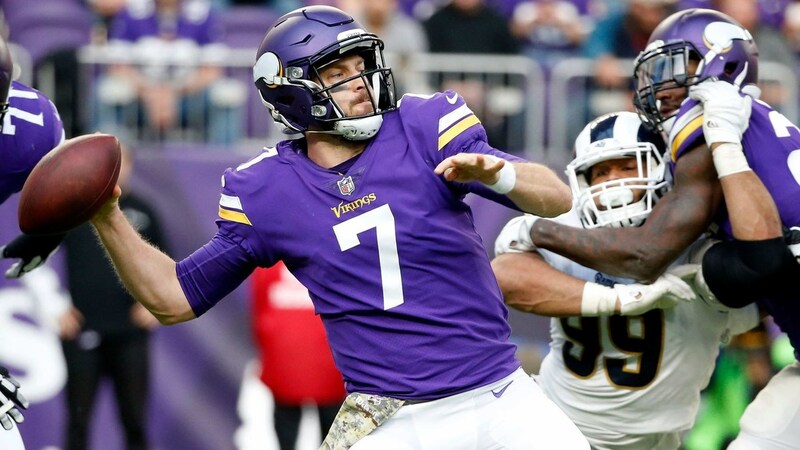 The Vikings showed hesitation midseason as to whether or not they wanted to commit to Case Keenum as the starter, especially around the time Bridgewater was almost ready to return. I think the obvious man out in Minnesota is Sam Bradford. He is the oldest and most injury prone, but Zimmer has said he believes Bradford’s knee troubles to be behind him. The fact that Bradford was ahead of Bridgewater on the depth chart upon Bradford’s return is interesting. It either means Bridgewater may be cleared to play but isn’t fully back to form, or the Vikings don’t think he’s all that good. I think the Vikings and Keenum come to an agreement that is roughly a three-year deal worth $54 million dollars with $36 million guaranteed and all the guaranteed money paid in the first two years of the deal. This essentially leaves the Vikings with a team option for the final year of the contract and doesn’t tie them to Keenum for an extended period of time. I also think Bridgewater will be a Viking next season. It’s easy to project him to leave because I am sure he wants to compete to be a starter, but who is going to bring him in? Teams have no idea how his knee is. Of course, though, part of the free agency process for Teddy would be getting cleared by any new team’s doctors. The more probable scenario is Teddy leaves for a team that allows him to compete for the starting job. I just think it might be a better long-term business decision for him to sign a one-year deal with the Vikings and hit the market again in 2019. He can keep consistency among the team of doctors overseeing his procedure and rehab, and should Keenum falter or get injured himself, Bridgewater can step in surrounded by weapons the likes of Thielen, Diggs, Rudolph, and Cook. The market won’t have dried up by 2019, there are always teams that need a quarterback. One way or another, I think Tyrod ends up a Cardinal. I’m going to say they sign him as a free agent but it would make sense if they traded for him so they don’t have to contend with other suitors should he hit the free agent market. Buffalo will likely look to trade Tyrod but he is due a $6 million roster bonus on the third day of the league year, which teams know thus destroying leverage for Buffalo, ($1 million was guaranteed at signing) and the Bills can save nearly $10 million against their cap by releasing him. I’ve touched upon the Cardinals offseason outlook before and how they are a little tight on money if they want to chase a veteran QB in free agency and maintain the ability to sign their own key free agents. Taylor provides a happy medium. While it would take some gymnastics for the Cardinals to bring in Cousins and retain key free agents, Taylor will probably command low end starter money on the open market. The average annual salary for a starting quarterback not on his rookie deal is $21.56 million. I think Tyrod will get $18-$19 million a season on his new deal. It wouldn’t surprise me if he had to settle for $16-$17 million a year however. Cutting Veldheer, Adrian Peterson, and Josh Mauro will open up $12.58 million on top of the $23 million Arizona is projected to have as is. Teams can do a lot worse than Tyrod Taylor, and a veteran team looking to be competitive immediately should have interest in a veteran quarterback that doesn’t throw interceptions. I just have this feeling the Bills will draft Lamar Jackson. I have no intel, obviously, and as the draft comes closer we may get a peak behind the curtain that shows the Bills have absolutely no interest in Jackson. The McDermott/Cam Newton dynamic makes for an easy comparison. It also makes sense for the Bills to utilize an option offense. The Patriots were ripped apart by the Jaguars and Eagles on RPO’s, and Lamar Jackson allows for read-option plays as well. You have to be as versatile and dangerous as possible if you want to beat the Patriots. I also think the Bills will bring in Sam Bradford. If the Bills move on from Tyrod they will have $38.71 million in cap space before making any other roster moves to save money or resigning their own free agents. Bradford will for sure be pissed off when the team uses a first round pick on a quarterback and cry about how he was promised the job long-term. Regardless, the Bills could give Bradford the Mike Glennon where they sign him to a one-year contract masquerading as a three-year contract. Hopefully Bradford, or at least his agent, will be able to read between the lines so a first round quarterback for the Bills won’t come as a complete shock to him. I don’t think the Bills will give him a salary of $18 million though. $15 million or $16 million seems more appropriate for 2018 and I don’t think they will have many competitors, if any, for Bradford’s services. This basically plays out the way Chicago wanted 2017 to play out: The rookie sits on the bench learning for as long as possible while the bridge guy starts the majority or all of the season. If Bradford’s level of play plummets to that of Glennon’s then Jackson may see the field sooner, but I think the Bills will be more patient when it comes to throwing their rookie to the wolves. The Jets have “bring back McCown and draft Mayfield or Allen” written all over them. And the Big Four Prospects? Josh Rosen and Sam Darnold will be the first two picks of the draft, and Baker Mayfield and Josh Allen will join them in the top 6. What order will they all come off the board and to what teams? Excuse my tease, but you’ll have to wait for my updated 2018 NFL Mock Draft, due out soon. Under all these conditions the Dolphins, Jaguars, and Bengals are all left with their incumbents, and I couldn’t find a home for A.J. McCarron. The Jaguars don’t have a backup quarterback on their roster at the moment so perhaps McCarron could relocate to Jacksonville on a short-term deal, believing he can win the starting job in camp. I don’t think the Eagles will trade Nick Foles. He is under contract for the 2018 season at a $7.6 million dollar cap hit, which is kinda of pricey for a backup. However, when you consider the combined cap hit of Foles and Wentz is $14.9 million, which is less than most starting quarterbacks, it’s not a huge deal. Some team may overreact and send a second round pick to the Eagles for Foles, and if so they should heavily consider taking it. But having just won the Super Bowl with their backup, the Eagles should be extremely cautious with Wentz’s recovery and not put him back into the lineup until he is absolutely 100% healthy. There is no reason to rush him. The Eagles are living a life of luxury. Philadelphia is in a position to repeat as Super Bowl Champions. They shouldn’t risk running into a setback in Wentz’s recovery and being in a situation where they are trotting out Nate Sudfeld to start games. I don’t think anyone in the Giants organization is stupid enough to screw this up. When you are drafting this high as a franchise that normally doesn’t, and there is a chance to secure the long-term future at quarterback, you don’t pass on it. The Colts parted ways with Peyton Manning when they lucked into Andrew Luck (sorry). In 2002 the Steelers went 10-5-1 with Tommy Maddox and made the playoffs. The following season they went 6-10, the first time the franchise won less than 9 games since 1999. In April 2004 Ben Roethlisberger fell into their lap at the 11th pick. In recent years we’ve seen teams with veteran starters – the Eagles and Chiefs – give up significant draft capital to go get the guy they believe will be the future of the franchise. Starting Eli in 2018 will give the Giants time to get the offensive line and running game better before throwing the young guy into the fire. It also makes way more financial sense to release Eli ahead of the 2019 season where it will save the Giants $17 million against the cap. All signs point to the Giants taking their favorite QB available at pick number two and giving him the Carson Palmer.